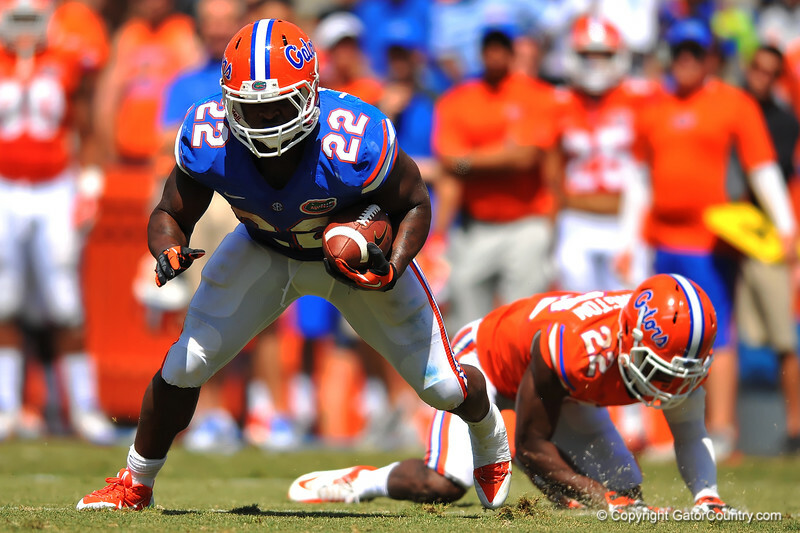 Florida RB Adam Lane Jr. spins away from the tackle attempt by DB Nick Washington. 2014 Orange and Blue Debut. April 12th, 2014. Gator Country photo by David Bowie.